One of the last great independent and family-run Champagne Houses. When he inherited the Champagne House in 1833, the aesthete and entrepreneur Louis Roederer took a visionary approach to enriching his vines, aiming to master every stage of the wine’s creation. 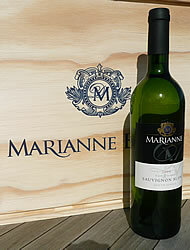 He forged the wine’s unique style, character, and taste. 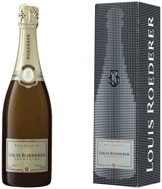 In the mid-nineteenth century, Louis Roederer acquired some of Champagne’s grand cru vineyards—an approach that contrasted sharply with contemporary practices.. While other Houses bought their grapes, Louis Roederer nurtured his vineyards, familiarized himself with the specific characteristics of each parcel, and methodically acquired the finest land. Louis Roederer’s guiding principle was that all great wine depends on the quality of the soil, a passion for tradition, and an astute vision of the future; the fame and reputation of the House of Louis Roederer was firmly established. His heir, Louis Roederer II was equally enlightened and adopted his father’s conscientious approach to the production of champagne, patrimonial estate management, and instinctive audacity.